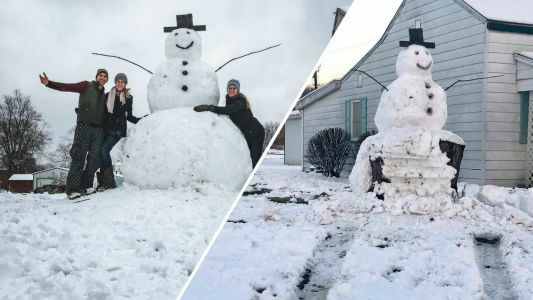 A would-be vandal was stumped after they tried to run over a 9-foot snowman in Kentucky, only to find it had been built over a large tree stump. A would-be vandal was stumped after they tried to run over a 9-foot-tall snowman in Kentucky, only to find it had been built over a large tree stump. A would-be vandal was stumped after they tried to run over a 9-foot snowman in Kentucky, only to find it had been built over a large tree trunk. 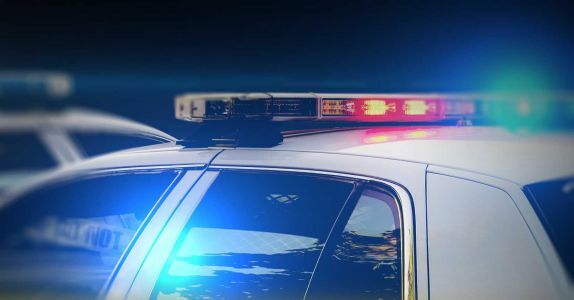 A would-be vandal was stumped after they tried to run over a 9-foot-tall snowman in Kentucky, only to find it had been built over a large tree trunk.